The New York Times bestselling author of White Tiger returns as primal desire draws two lone shifters into each other's arms. Contains mature themes. A polar bear Shifter, Zander wears no Collar and follows no rules but his own. Rae finds him arrogant and demanding, yet compelling and intriguing. Zander has no wish to mate, but the sassy Guardian is drawing him out of his shell, stirring feelings long suppressed. 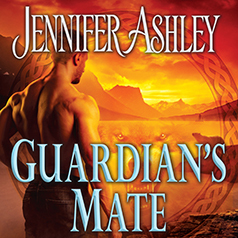 And when a new threat looms over Rae's home, she and Zander must race to the rescue, forced closer to danger . . . and to each other.